A pile of waste coal sits abandoned in Fredericktown. The Pennsylvania Department of Environmental Protection will spend $55 million on abandoned mine cleanup projects around the state. The projects will go toward treating polluted mine water, stabilizing unsafe mine lands, and putting out underground mine fires. The money comes from the federal Abandoned Mine Lands fund, a Department of Interior program. It’s funded by a fee on current coal production, and goes to clean up mines that were developed before modern environmental rules were created for mines in the 1970s. Last month, the agency announced $25 million in funding for abandoned mine cleanups. That money is part of a separate pilot project designed for abandoned mine cleanups that can also improve local economies. Pennsylvania has around $15 billion in legacy coal mine cleanup work, the largest amount of coal mine cleanups in the nation. 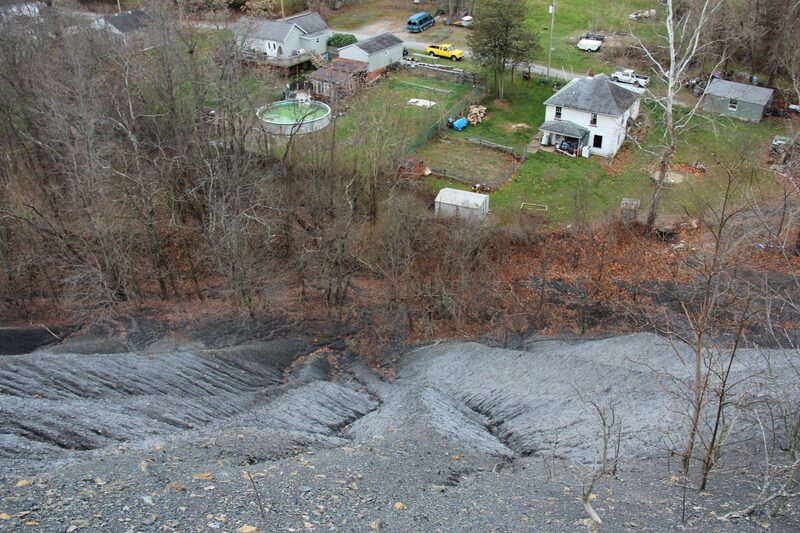 Allegheny County: To extinguish the Renton underground mine fire in Plum Borough. Cambria County: To reclaim the Stineman coal refuse pile in South Fork Borough, to improve water quality in the South Fork of the Little Conemaugh River, and to facilitate construction of a missing section of the Path of the Flood Trail. Indiana County: To build an AMD treatment plant in Buffington Township, and to treat water from three underground mine pools to improve water quality in Blacklick Creek and the Kiski-Conemaugh Watershed. Westmoreland County: To reclaim the Banning coal refuse pile in Rostraver Township. A solar farm is planned for the site. Westmoreland County: To control mine subsidence in the town of Bradenville, and to stabilize and help prevent future subsidence for more than 100 homes. Lawrence County: To reclaim the Castlewood West abandoned surface mine in Shenango Township, eliminating a dangerous highwall. Blair County: To reclaim the Glen White (North Site) abandoned surface mine in Logan Township, eliminating a dangerous highwall and improving water quality in Altoona’s public water supply area. Centre County: To reclaim the Shettleston abandoned surface mine in Snow Shoe Township, eliminating a dangerous highwall, restoring forestland through tree planting, and improving recreational opportunities. Clearfield County: To reclaim the Weber Run West abandoned surface mine in Cooper Township, eliminating a dangerous highwall. Lackawanna County: To extinguish the Dolph underground mine fire in Olyphant Borough. Northumberland County: To eliminate a dangerous highwall at the Bear Valley Southwest abandoned surface mine, allowing construction of an off-road vehicle/ATV park to improve recreational opportunities in Coal and Zerbe Townships. Schuylkill County: To reclaim the Oneida West abandoned surface mine in North Union Township, eliminating a dangerous highwall.